Sometimes outlining your plan is stickier than you might have envisioned, which becomes especially apparent when you’re trying to justify the expenditure to management. A recent DemandGen Report article highlights some significant findings from Aberdeen Research, including the most popular reason companies deploy mobile applications relevant to sales activities: to support all crucial elements of the sales cycle without a concern for physical location limitations. While we LOVE that sentiment, “supporting all elements of the sales cycle” is a hefty task for one instance of any software, and trying to sell that idea to your decision-makers might be an uphill battle—they’re no dummies. With that in mind, we’ve created another tool to help you put some context around the ROI you wish to achieve with a mobile app, and how to go about getting there. 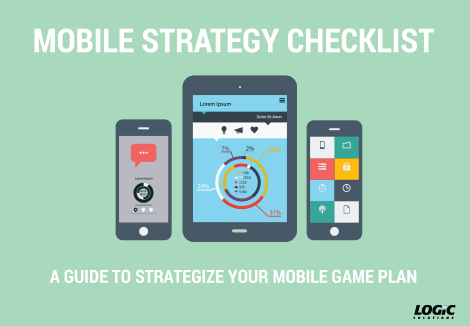 Please fill out the form on the right and see how Mobile Strategy Checklist can help you strategize your mobile game plan. YES! Send me exclusive emails about the latest IT news, updates, and service information.